The next Star Wars spin-off movie has begun filming in London. 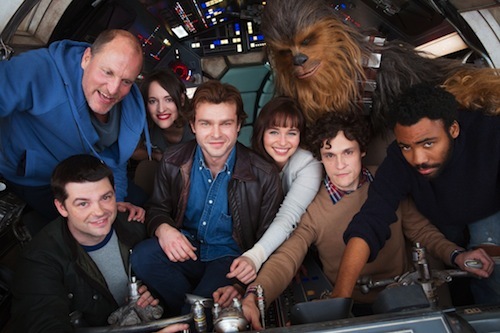 And the cast and crew boarded the Millennium Falcon for a first look. The on-set photo confirms the casting of Phoebe Waller-Bridge (Fleabag). She joins Alden Ehrenreich as Han Solo, Woody Harrelson, Emilia Clarke, Donald Glover as Lando Calrissian and Thandie Newton. The untitled Han Solo movie is scheduled for release 25th May 2018. This contradicts an earlier report suggesting Disney will continue to release Star Wars movies during the holiday season.